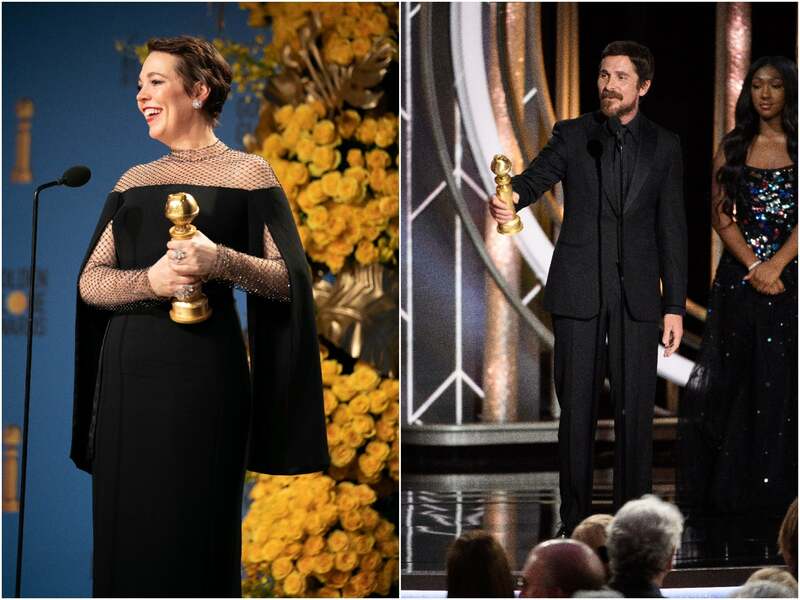 Unnoticed but quite remarkable, this year's best actor and best actress/comedy Golden Globe winners, Christian Bale and Olivia Colman. were both born on the exact same day 45 years ago. And equally interesting, they were both born in England.Were they aware of this coincidence at the ceremony? Surprisingly no, because previously their careers have never crossed. Bale, of course, was discovered by Steven Spielberg who cast him in arguably his best film, Empire of the Sun. Ironically they have never worked together since. His first American film was Disney’s Newsies. He continued to work in independent movies the most famous of which The Machinist earned him high praise and notoriety for having lost 40 pounds for the role. But it was his role as Bruce Wayne in Christopher Nolan’s Batman trilogy that made him an international star. He followed that with the sequel but it is his singular work in American Hustle, The Big Short, and Vice that has confirmed his position as one of the premier actors working today. Olivia’s film career has followed a different path. She worked for decades on television series going pretty unnoticed in the U.S. until she played Angela Burr in The Night Manager for which she won a Golden Globe for best supporting actress. Ironically she was the only winner not in attendance that year. Last year when she was chosen to replace Claire Foy as Queen Elizabeth II in the third season of The Crown, people were still asking the question, Olivia who? until director Yorgos Lanthimos chose her to play Queen Anne in The Favourite. For that role, she has won almost every award this year, so far. Ironically, she is not a stranger to awards. For her work in Broadchurch, Tyrannosaur, Accused, Rev, and Hyde Park on the Hudson she has won innumerable critics awards. But it is, of course, The Favourite which has made her a household name. At the Golden Globes, neither Christian nor Olivia alluded to or apparently were aware they were born on the same day. In their acceptance speeches, both were equally witty and gracious. And backstage she joked about getting work over 40: "I have been lucky. I have always found work, and I feel very fortunate. I don’t know why, but there are more and more parts being written for older women. I guess the older you get, the more you have to say. Unfortunately, most of the people in charge of the remote control are men. But women want to hear our stories." Happy Birthday Olivia and Chris!